Sorry no page this week! It was a really busy week. 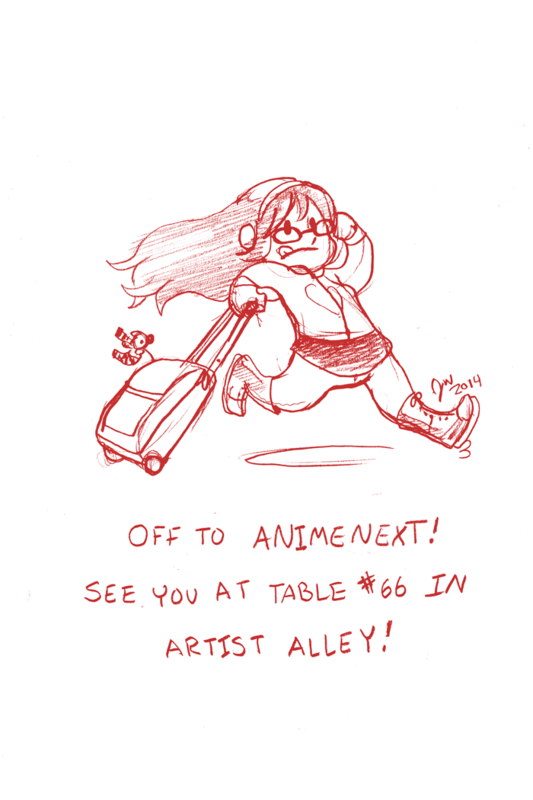 If you’re going to Anime Next this weekend I’ll be there at table #66! I’ll have comics, prints, buttons and charms!